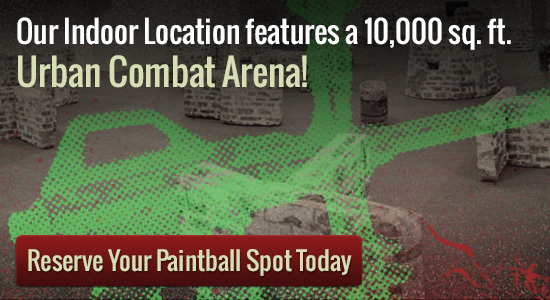 In Minnesota we have the paintball field for you at Splatball if you are looking for indoor play; call for a private reservation, or walk in and join the fun. Do you see yourself as tough enough to stand up straight and tall against your opponents? Come and be part of our paintball experience. In winter you still do paintball combat; we have the venue for your needs year round in all types of weather. Exclusive reservations and equipment leases, for organizations above 8 people are accessible any day time Monday by means of Weekend. Paintball is ideal for that organization get together, get the team developing selecting a memorable pleasurable time. Are you possessing a birthday celebration, want something interesting to get a bachelor or bachelorette get together call now for bookings, we have the correct paintball industry for you personally. Paintball is great way to bond and exercise along with your friends or fellow workers. A paintball game is perfect for the adrenaline junkie, a quick tempo duck cover, shoot and locate activity, for people or teams. Work out your sensory faculties as well as your physique; keep track of your team buddies, find the hidden or hidden opponent, move around in swiftly to counteract the threat with team and firepower function. Picture yourself stationed inside a foreign property defending your outpost or patrolling inside an different city, can you achieve your goal and make it through, learn inside a risk-free watched playing industry with paintball marker pens.